So can't wait to see this! Wicked, don't you think? 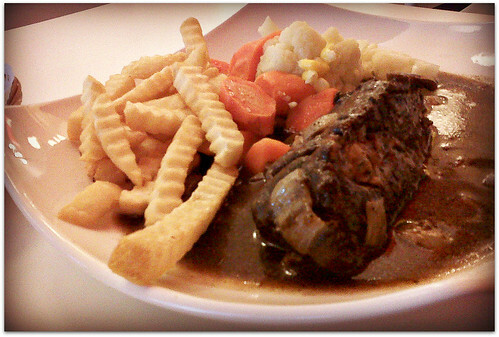 STEWED BLACK PEPPER STEAK, a photo by Funkee Deeva on Flickr. I skipped lunch unintentionally today. By 4:00pm, I was famished. I started seeing double and without hesitation, I took my car keys and left for Lucky Garden, near my office. After 2 rounds of finding parking, a car pulled out of a lot which was awesome. I took that spot and paid the parking fee 50 sen which was once again awesome!